These protein pancakes are our absolute favourite. They're low in fat, gluten free and high in protein and we rarely make any other pancake because these are just so good. 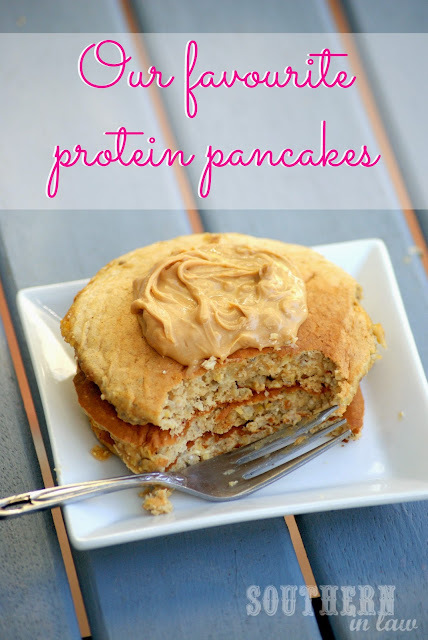 You could call them Peanut Butter Banana Protein Pancakes - and you could also call them ahfreakingmazing. I insist you try it - and if you don't like peanut butter, try almond butter! Optional: cinnamon/spices, added honey/maple syrup for extra sweetness, nuts/chocolate chips/mix ins. Get out a nonstick fry pan, spraying lightly with oil if needed. Mash your bananas and add in your chia seeds and egg whites. Mix in your Mighty Tasty cereal and peanut flour. Combine everything until smooth and pour 1/4 of mixture at a time onto your pan over a medium/low heat. Cook until bubbles start to appear, flip and then cook until golden on the other side. Watch your heat - if they brown too fast, turn your heat down. - or if they're not cooking quickly enough, turn it up. Devour immediately or freeze for a quick and easy breakfast - they will also keep in the fridge for a few days. I was never a pancake girl - until I started creating my own recipes! 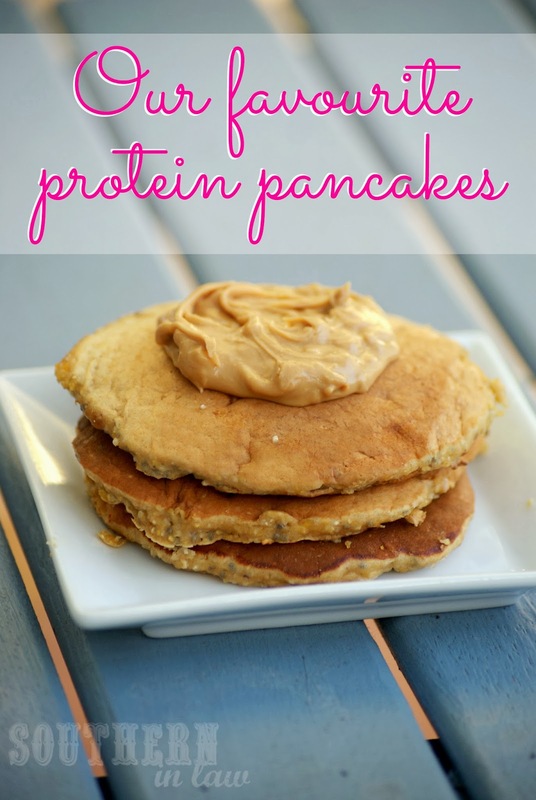 These sound great--I'll have to look for Peanut flour. I usually make buckwheat/banana/blueberry pancakes--so good they don't really need maple syrup! Hey there, the best (and cheapest) place to buy peanut flour is at iHerb (http://www.iherb.com/protein-plus-roasted-all-natural-peanut-flour-32-oz-907-g/36231?rcode=oto868) but if you're in the US you can also find them at Trader Joes and some specialty stores.